The human-computer interactions are more and more present in our everyday life, and lead to many conceptual and methodological problems for the designers and evaluators of interactive systems. 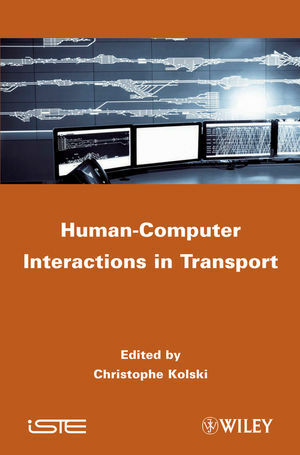 This book is about Human-Computer Interaction in Transport domain, in which the traveler becomes a user of information systems, particularly before and during the travel(s). This book will focus on traveler information and personalized systems, using a human-centered design approach. Christophe Kolski is Head "Human Reasoning and Human-Computer Interaction" research group, LAMIH, University Valenciennes.